Montana is a sleep state. You wouldn’t expect them to have better state laws in place for poker players compared to others. But they do. In fact, despite that online gambling is illegal, poker players are still able to participate in home games so long as players follow the rules. There are plenty of opportunities to play poker in one of the 140+ casinos available throughout the state, too. We go into more details about these laws below. 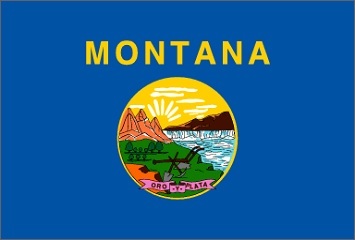 But the long and short of it is that Montana is a reasonable state to live in or visit for poker players. No. Based on our research the state laws says that any unregulated gambling is illegal. And although specific devices such as phones, tablets, laptops and computers weren't called out, an argument could be made that online gambling is made illegal via the device you use to play online. (18) "Illegal gambling device" means a gambling device not specifically authorized by statute or by the rules of the department. Home poker games appear to be legal. The statute is vague, but I would think that, like most states, that home games are only legal so long as no one takes a cut of the rake or charges a fee to enter the game. If the game did then it would probably fall under the Section 9. Gambling. definition mentioned above. Furthermore, Montana doesn't mention what the "minimal value" is. If this is something you're worried about I suggest contacting your local authorities, or just keeping the game to a small buy-in -- maybe $20 per person. (12) (a) "Gambling" or "gambling activity" means risking any money, credit, deposit, check, property, or other thing of value for a gain that is contingent in whole or in part upon lot, chance, or the operation of a gambling device or gambling enterprise. Do Casinos in Montana Offer Poker? We receive a lot of questions about playing poker and gambling in Montana. We've posted those questions and our answers below. Will online poker be regulated in Montana? Montana already has online gambling regulations in place. No one is allowed to operate an online casino within the state. They're one of the few states to already have laws in place regarding online gambling. I think this tells you all you need to know. Although, given that they have so many casinos within the state, who's to say that they won't change their mind in the future once they see how other states like Nevada or New Jersey do (revenue-wise) with their intrastate poker programs. Is there an online poker room that accepts players from Montana? Yes. Residents of Montana can play at sites like Bovada, Sportsbetting Poker and BetOnline, as well as any site that accepts American customers. What other forms of regulated gambling is offered in Montana? Montana residents can also wager on pari-mutuel horse and dog races, charitable bingo, keno and raffles, as well as on the state lottery. Where can I read more about Montana poker laws? Here are some interesting facts about poker and gambling in Montana. Residents can legally bet on fishing derbies. Poker runs are legal within the state statutes. Poker runs are games where bikers travel from one location to the next, collecting a card at each one, to try to make the best poker hand. Annie Duke learned to play poker in Montana after getting married and moving there. Layne Flack was raised and currently lives in Montana. He's most known for his 6 WSOP bracelets, including the back-to-back NLHE events that he won during the 2002 WSOP. Huck Seed, the 1996 WSOP Main Event and NBC Heads Up Championship winner, was born in Montana. Huck Seed is also known for placing numerous prop bets.